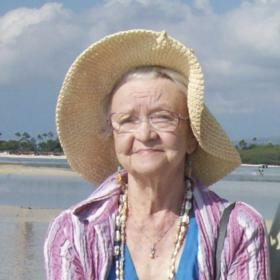 Mary Elizabeth (Shepard) Zonyk-Wagar was a devoted wife, mother, grandmother, and friend to many. Blessed with a compassionate heart, she was never known to hold a grudge or say an unkind word about anyone. A faithful person, there wasn’t anything that Mary wouldn’t do for someone in need. She lived her life fully and treasured her close relationships with her family. An accomplished woman of her time, Mary leaves behind many wonderful memories of a life well lived. There is no doubt that she will be dearly missed by all who knew and loved her. Reflecting on the 1920s, it was a period of sustained economic prosperity with a distinctive cultural edge, aptly giving the decade the name of the Roaring Twenties. By 1929, the industry was booming until the market crashed that fateful October. Walter S. Shepard and Evelyn (Farnham) Shepard welcomed home their newborn daughter, Mary Elizabeth on March 26th, in Flint, Michigan. Known as the greatest generation, her life began during a tumultuous time in our nation’s history. Mary learned the value of a hard day’s work from an early age. In her early developing years, she and her sister lived on their grandparent's farm in rural Indiana. When they needed any supplies from town, Grandpa Farnham would hitch the plowhorses to the buckboard and off they’d go! Close with her grandparents throughout her life, they held a very special place in Mary’s heart. Although Mary enjoyed school and was a model student she dropped out of Portage High to support herself when her mother died during her teen years. It was a very difficult time for Mary, yet she built resiliency and never gave up on her dream of completing her education. When the war had finally ended, Mary’s life would change for the better. Out with a girlfriend one evening, she was approached by the man of her dreams, George Zonyk who asked her dance! Dressed in his uniform, little did she know at the time that their first dance would lead to more than fifty-six wonderful married years together! Eager to spend the rest of their lives together, the happy couple were married on October 28, 1946. George was the love of her life and together they raised three wonderful children; Patricia, Christine, and George Jr. She cherished her role as a mother tending to their every need over the years. They leaned on her for support over the years and marveled at her endless tenacity! Nothing ever got in the way of Mary getting exactly what she wanted out of life and what she wanted most was for her children to be happy. Ambitious as well as driven, when her children reached their teenage years, Mary set off to earn her GED. From there, she pursued her Bachelors of Science degree in Education. Accepting a position with Three Rivers District at Moore Park, Mary began a remarkable thirty-year career there. When her daughter, Christine earned her Bachelor’s degree, Mary was right there walking beside her on stage receiving her Master’s! That moment was a significant highlight of Mary’s knowing that she was able to celebrate the importance of education with her family. Mary was a well-liked teacher who made each one of her students feel special over the years. She was thrilled to have the privilege of changing lives for so many years and never looked back with regret on her decision to head down the path of education. Mary truly believed that teaching was the most dignified profession. Mary held many favorite pastimes and interests over the years. 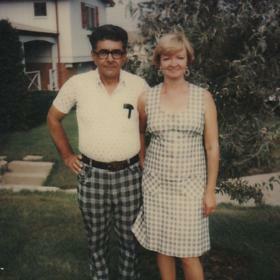 She and George were known to take many road trips to the Shipshewana flea market so Mary could enjoy shopping as well as stopping for dinner at the Essenhaus. They also favorited Michigan’s fall color tours up north and make sure to sneak away during the peak of the season! 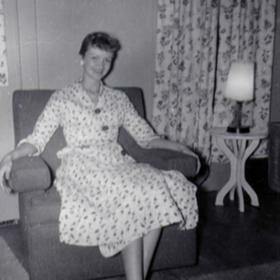 Later in life when George had passed, Mary looked forward to her travels with her daughter, Pat, and son-in-law, Dorm to such wonderful places as Alaska, Colorado, Hawaii, and Texas to visit her grandchildren and great grandchildren! Known to read up to five books at a time, Mary always had ones to recommend! In addition to her passion for reading, she always had a special love of the fine arts. For many years, she found great comfort in music playing both the piano and the organ. She also was quite talented at painting and entered some of her paintings into local fairs. She was an excellent cook as well as a wonderful baker. Mary’s friends and family often requested her delicious peanut butter pies or her famous golabki! Despite all of her marvelous talents, Mary treasured the time she spent with her family the best! A woman of deep faith, she leaves behind a rich collection of many special memories for her loved ones to cherish forever. Like the word’s of her favorite hymn, the golden bells came ringing to quietly welcome her home to rest in peace. 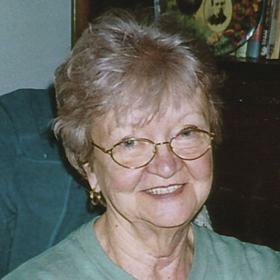 Mary Elizabeth Zonyk-Wagar, of Palmer, Alaska, formerly of Vicksburg, Michigan passed away peacefully at her daughter’s home on Thursday, January 24, 2019, at the age of 89. Mary is survived by her children; Patricia (Dorman) Wilson, Christine Zonyk, George (Linda) Zonyk. Her grandchildren; Marlo Adams, Denise (Dewayne) Wolf, Holly (Brett) Gibbens, Danielle (Travis) Wolf, Alex (Kathy) Mendiola and Jenny (Dennis) Rose, and nineteen great-grandchildren. Mary was preceded in death by her parents, her husband of 56 1/2 years, George Zonyk, second husband, John Wagar, sister, Barbara Rybitsky and brother, David Fultz. The family will receive friends at the McCowen & Secord Family Funeral Homes, Rupert-Durham Chapel, 409 S. Main, Vicksburg (269-649-1697). A Mass of Christian Burial will be held at the St. Martin of Tours Catholic Church. Burial will be at the Vicksburg Cemetery following mass. The date of this event will be posted as soon as they become available. 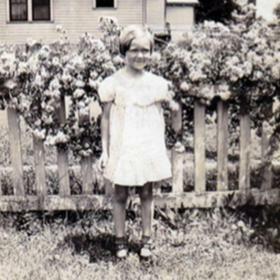 Please visit Mary’s webpage at www.mccowensecord.com where you can read sign the guestbook, and share a memory. Those who wish may make memorial contributions to St. Martin of Tours Catholic Church or to the Alzheimer’s Association.